Southeast Bottling & Beverage is more than just a beverage processing plant – we are a full-service copacking provider that can serve the needs of beverage startups and seasoned brands alike. Throughout our decades of service to the ready-to-drink (RTD) beverage industry, we have helped hundreds of energy drink, liquid dietary supplement, flavored water, sports drink, functional drink, tea and juice manufacturers expertly package their products and get them ready for store shelves. Our facility is state-of-the-art, and our capabilities are vast. In fact, one of the reasons tea and juice manufacturers, as well as those who manufacturer other RTD beverage products, trust and rely on us for all of their copacking needs is because we have unparalleled industry experience. Our leadership team has over 100 years of combined industry experience, and they have built Southeast Bottling & Beverage to be a premier copacking partner for any beverage maker in the US. At Southeast Bottling & Beverage, you will find multiple filling rooms, a separate pharmacy, 40,000 gallons of tank capacity, 2 liquid filling lines, a cooling tunnel, high speed monoblock, and much more. We hold multiple industry certifications and are Kosher, Organic and HEPA Filtration certified. We are also an SQF Level III certified facility, so we are the copackers to count on for top-quality production every time. 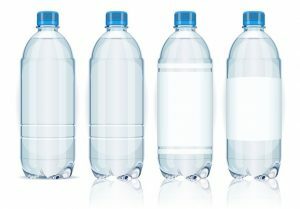 Southeast Bottling & Beverage offers custom solutions to clients of all sizes, and we even offer our turnkey trial program for beverage startups or established brands looking to test new flavors on the market. These smaller quantity production runs can help save money when producing products for market testing purposes. We gladly serve energy drink, liquid dietary supplement, flavored water, sports drink, functional drink, tea and juice manufacturers in Florida, New Jersey, New York, Georgia, Texas, Alabama, South Carolina and elsewhere throughout the US, so contact us today to learn more about what our beverage processing plant and turnkey copacking services can do for your RTD beverage business.